Dr. Kulkarni received his Bachelor of Technology (B.Tech.) and Master of Technology (M.Tech.) in Aerospace Engineering from the Indian Institute of Technology, Bombay (IITB) in 2009, and his PhD in Aerospace Engineering from Virginia Tech in 2016. His dissertation was concerned with aeroelastic sensitivities that are required for aircraft design. 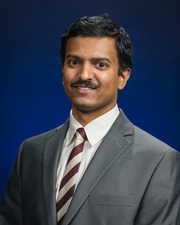 Before starting his PhD, Dr. Kulkarni worked at Airbus and MSC Software. He teaches courses related to aerospace structures and his current research interests include multidisciplinary design optimization, sensitivity analysis, aeroelasticity, structural vibration control, and impact testing of composites and ceramics. Discrete Adjoint Formulation for Continuum Sensitivity Analysis. Kulkarni, M. D.; Cross, D. M.; and Canfield, R. A. AIAA Journal, 54(2): 758-766. February 2016. Continuum Sensitivity Analysis for Aeroelastic Shape Optimization. Kulkarni, M. D.; Canfield, R. A.; and Patil, M. J. In 57th AIAA Structures, Structural Dynamics and Materials Conference, San Diego, CA, January 2016. Reliability Based Structural Design using Continuum Sensitivity Analysis. Kulkarni, M. D.; and Canfield, R. A. In 56th AIAA Structures, Structural Dynamics and Materials Conference, Kissimmee, FL, January 2015. Stress Wave Micro Macro Attenuation in Ceramic Plates Made of Tiles during Ballistic Impact. Goel, R.; Kulkarni, M. D.; Pandya, K. S.; and Naik, N. K. International Journal of Mechanical Sciences, 83(2): 30-37. March 2014. Reduced Order Model for Unsteady Aerodynamics of Flapping Wing Micro Air Vehicle in Hover. Kulkarni, M. D.; Patil, M. J.; and Snyder, R. D. In 54th AIAA Structures, Structural Dynamics and Materials Conference, Boston, MA, January 2013. Effect of Back Pressure on Impact and Compression-after-Impact Characteristics of Composites. Kulkarni, M. D.; Goel, R.; and Naik, N. K. Composite Structures, 93(2): 944-951. January 2011. Active Control of Vibration Modes of Wing Box by Piezoelectric Stack Actuators. Kulkarni, M. D.; Kumar, G.; Mujumdar, P. M.; and Joshi, A. In 51st AIAA Structures, Structural Dynamics and Materials Conference, Orlando, FL, April 2010. Awarded Dr. Shankar Dayal Sharma Gold Medal for being the most outstanding student in general proficiency, excellence in academic performance, extra-curricular activities and social services among all 1600 degree recipients of IIT Bombay in the year 2009. Awarded Institute Silver Medal and Boeing Scholar Award for standing 1st among Dual Degree (B.Tech, M.Tech) students of Aerospace Engineering Department, IIT Bombay in the year 2009. Won 6th place in 2nd International Cold Formed Steel Student Design Competition in 2012. Finalist in AIAA 2015 Student Competition: Qualified for the final round of student competition at AIAA Multidisciplinary Analysis and Optimization Conference, Jun. 2015. Best paper presentation: Won the first prize for the project on 'Composites Structures' in national level students' paper presentation competition at 'Zephyr 2006', Aerospace Engg. Association, IIT Bombay. Indo-German Winter Academy 2007: One of the seven students to represent IIT Bombay at the annual Indo-German students meeting at Guwahati, India; Presented a talk on 'Finite Element Analysis of Dynamic Systems'.